Recreation of glenohumeral biomechanics and humeral anatomy has been shown to improve outcomes in shoulder arthroplasty. 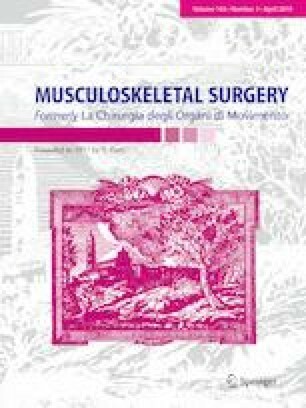 Recent research has focused on utilizing simulation software and intraoperative instrumentation to improve glenoid implant selection and positioning, but no study had evaluated the reliability of new features in 3D preoperative planning software for humeral planning in total shoulder arthroplasty. Preoperative plans were created for 26 patients using three different simulation software programs: an independent preoperative planning simulation (IPPS) software (OrthoVis) and two automated manufacturers preoperative simulation systems: ArthrexVIP™ (AMPS I) and Tornier Blueprint™ 3D Planning (AMPS II). Preoperative plans were compared for reliability and consistency among different software systems based on available variables including humeral head diameter (HD) and head height (HH). The measured HD was consistent between the three systems with a maximum mean difference of 0.2 mm for HD among IPPS, AMPS I, and AMPS II (p = 0.964). There was a significant difference in measured humeral HH with 1.7 mm difference between IPPS and AMPS II (p ≤ 0.001). The strongest correlation when comparing humeral head measurements (diameter or height) obtained from all systems was seen between IPPS and AMPS I for humeral HD (r = 0.8; p ≤ 0.001). There was a high level of consistency between independent and manufacturer preoperative planning software for humeral head measurements. These preoperative planning systems can improve efficiency and workflow during surgery by guiding surgeons on implant size selection to optimally reconstruct the glenohumeral kinematics, in order to improve patient outcomes. Level III, study of nonconsecutive patients and without a universally applied “gold” standard study of diagnostic test. Disclaimer: Diego J. L. Lima none; Jacob Markel none; Jonathan P. Yawman none; James D. Whaley none; Vani J. Sabesan is a paid consultant for Arthrex Inc., receives research support from Exactech Inc., and received research support from Pacira Pharmaceuticals.